Alexa Siegel (left), with partner-in-crime Hanna Lucy. 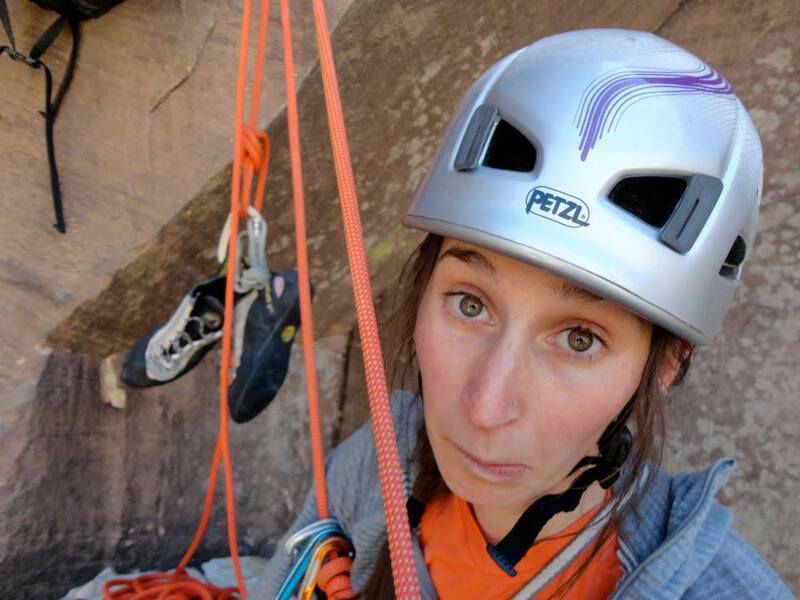 Cathedral Mountain Guides is proud to welcome Alexa Siegel to our guiding team this year. One of the most talented and psyched young climbers to arrive in the Mount Washington Valley in recent years, she recently capped her rock climbing season with a redpoint ascent of The Sampler, a stout 5.12d sport climb at Shell Pond. Like all good New Englanders, Alexa Siegel is a woman who values her independence. 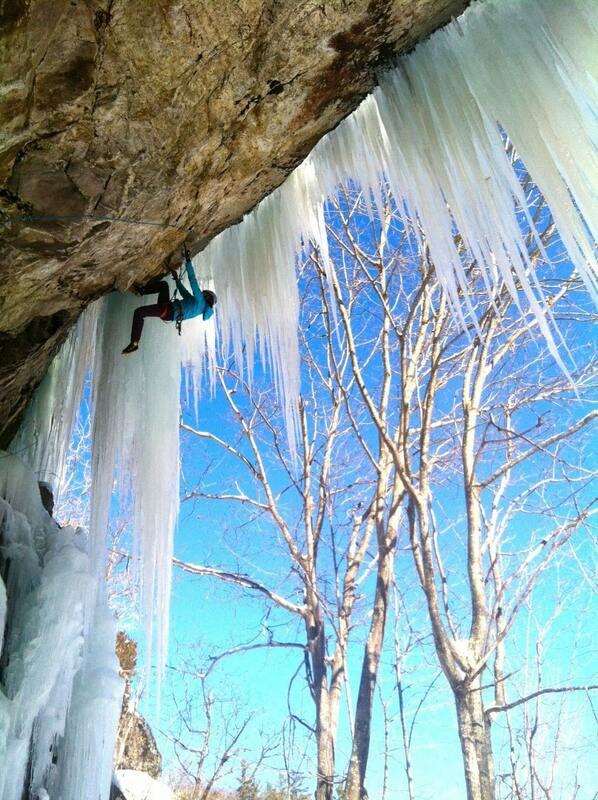 Even as a freckled seventh grade girl in Wilmington, Massachusetts, Alexa knew climbing was her calling. “The Boston Rock Gym was ten minutes away from home, and my brother went there first, for a birthday party,” she recalls. “I was jealous.” Soon after, she took a lesson with another brother, and started spending her Friday nights at the gym in their Youth Clinic program. Although she went on to compete in indoor climbing in high-school, Alexa refused to join a climbing team, registering for meets independently, “just for fun”. She even made Nationals one year – but the competition was all the way across the country, in Portland, Oregon, and Siegel didn’t attend. “I guess I found I liked outdoor climbing a lot more,” she says now. Siegel went on to attend UNH, graduating with a degree in environmental conservation (she also earned an associates degree as an occupational therapy assistant), and then moved up the road to North Conway, New Hampshire. The White Mountains’ splitter granite, frosty winters, and lack of climbing gyms helped to broaden Alexa’s repetoire of climbing skills and deepen her love of vertical adventure. 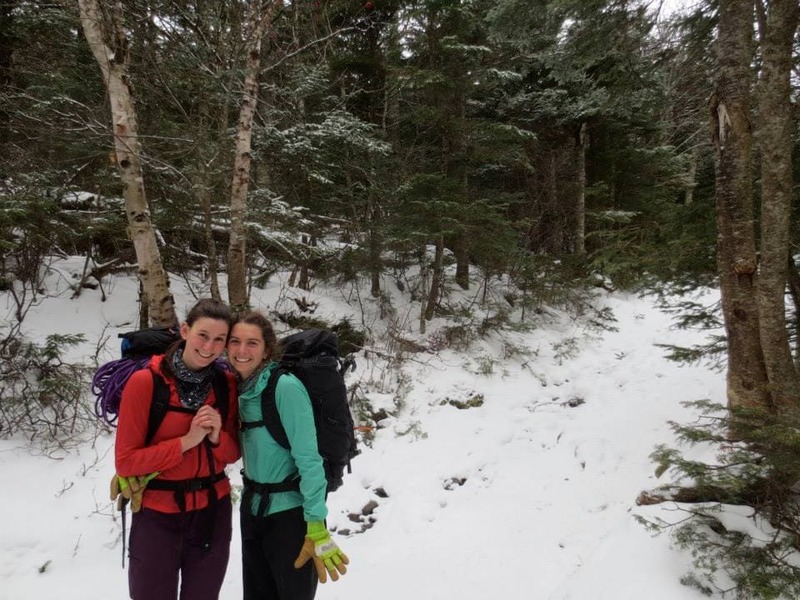 Recently, some of her most rewarding adventures have come when she’s partnered with other women. With local climber and Atlantic Climbing School guide Hanna Lucy, Alexa went on a tear in Yosemite Valley last spring, a trip that culminated in the two making an ascent of the Regular Route on Half Dome in a single day. As an aspiring guide and climbing instructor, Alexa’s excited to share her love for climbing movement and the mountains. FW: Ice and mixed climbing are sort of the polar opposite of gym climbing — you’re in gnarly uncontrolled conditions instead of being indoors — so how did you grow from a suburban gym upstart to winter monkey? AS: I guess it was moving here [to the Mount Washington Valley]. I love being active, and so I was like, what I’m going to do? My friend Eric took me out for my first ice climb up Hitchcock Gully on Mt. Willard. I didn’t even know how to clean an ice screw, my boots were way too big… I think the most progress started when Hannah and I started going climbing. I had a breakthrough when Bayard Russell gave me a tutorial on climbing steep ice. He said ‘hips in when you swing; hips out when you kick’, and after that everything started to click. Styling the M9 drytooling on The Unemployment Line. FW: What was your favorite day ice climbing? “AH! I have to go back for that one. I did the rock section last year but the ice hadn’t formed so I never got to do a full ascent. Tohko was where I started to love mixed climbing. 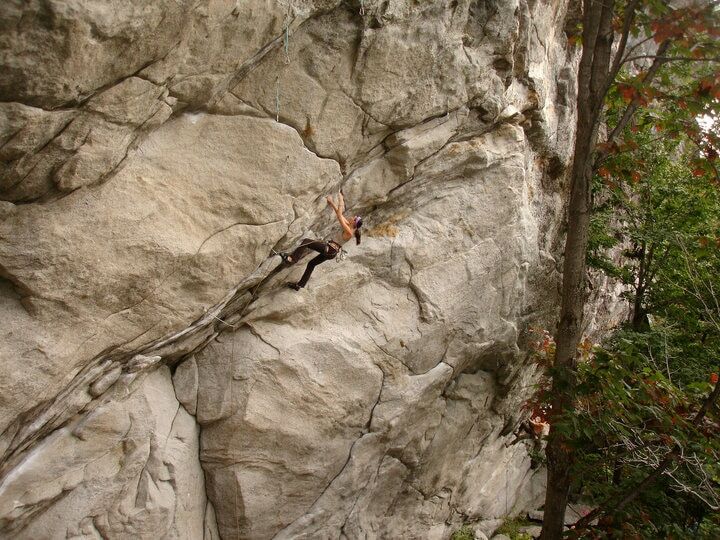 I come from a sport climbing background, so the sport mixed climbing came pretty naturally. FW: How did your road trip with Hanna to Red Rocks and Yosemite go this spring? AS: Hanna and I lived together at a chalet at the base of Cathedral, and that’s where the idea hatched – to try Half Dome in a day. We applied for an American Alpine Club Live Your Dream Grant, and I don’t think either of us thought we’d actually get it, and then we found out we got it. We started in Red Rocks and got benighted at the top of Epinephrine. We had a shiver bivy, and after that we were like ‘oh man, we have a ton of work to do’. 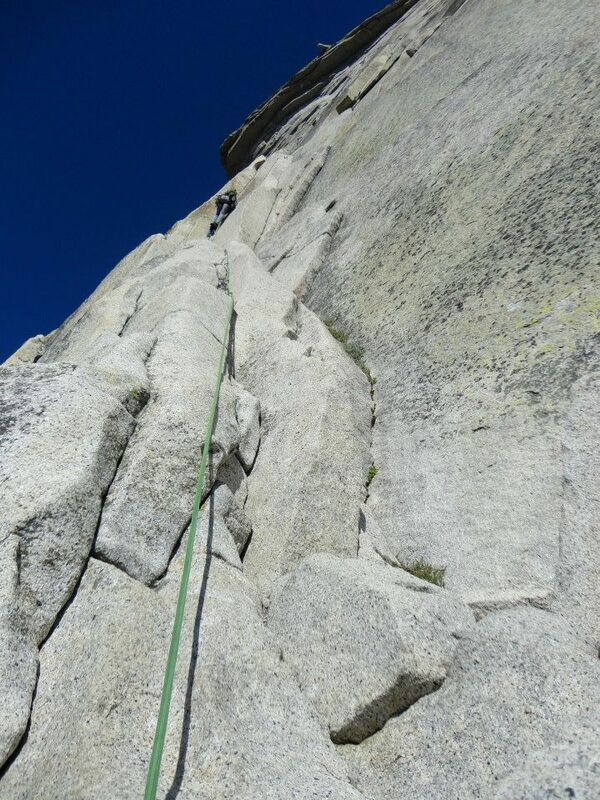 We went to Yosemite, and spent three weeks there climbing lots of 5.8s and 5.9s. Soon we had only one week left, and we knew it was time to go for it. Alexa and Hanna in Red Rocks. 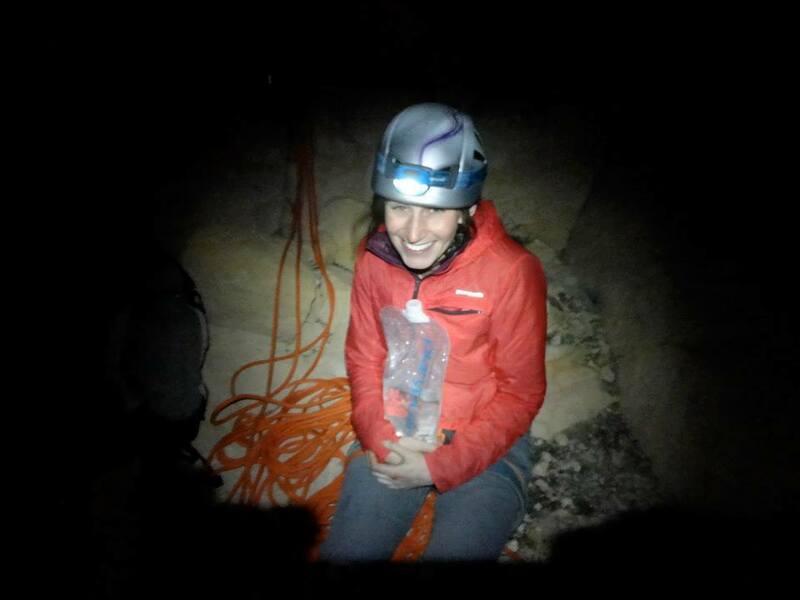 All smiles during the unplanned bivy on top of Epinephrine. Alexa leading the Zig-Zags on Half Dome. A few pitches below the top, the sun set and we had to climb in the dark, by headlamp. My aid climbing experience is pretty limited, but somehow I found myself standing on this thin hook between two bolts ladders… I reached a little too far over to try to clip a bolt and took a little sideways whipper. Hanna couldn’t see me, she had no idea what was going on. Then Hanna found some tat above us, and eventually we made it through. It was either that or spend the night shivering at the belay! FW: What’s special about the Cathedral Mountain Guides Ladies Only series you are helping to organize this winter? 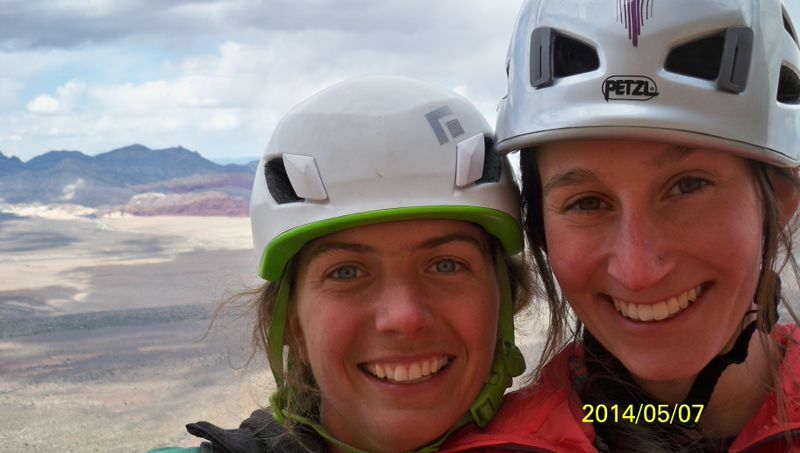 AS: I think I’ve always been psyched about getting out and climbing with my female partners. I love that feeling of being independent, of making our own decisions in the mountain. I’m really psyched to be able to give other ladies a taste of the same adventure. Warming up on the classic The Great Escape at Shagg Crag.